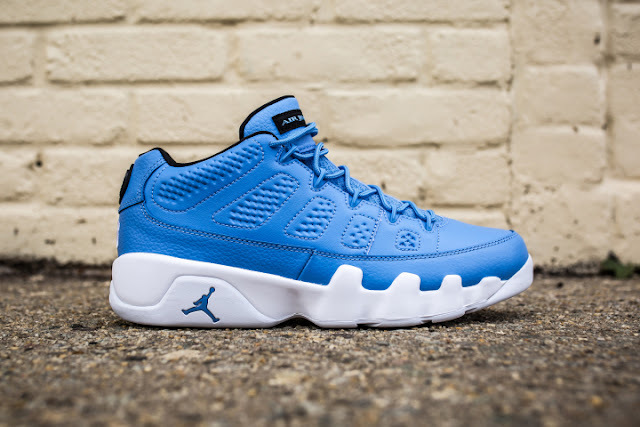 The Air Jordan 9 Low ‘Pantone’ is inspired by the University of North Carolina (Michael Jordan’s alma mater). The sneaker features a full leather university blue upper with a textured leather on the mudguard and heel. 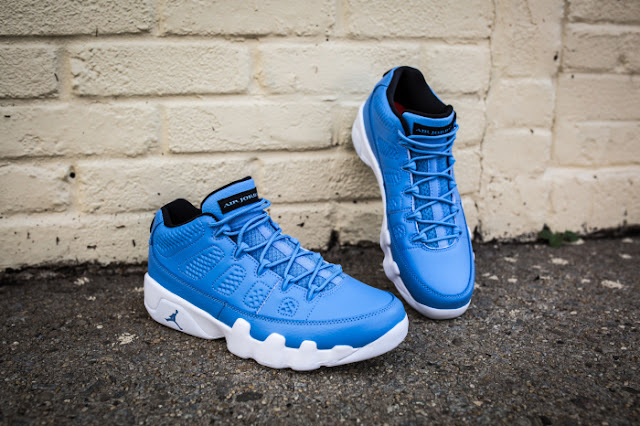 Contrasting hits of white land on the midsole, outsole and 23 on the heel with Black making its way onto the inner liner and the Jumpman logo on the heel. 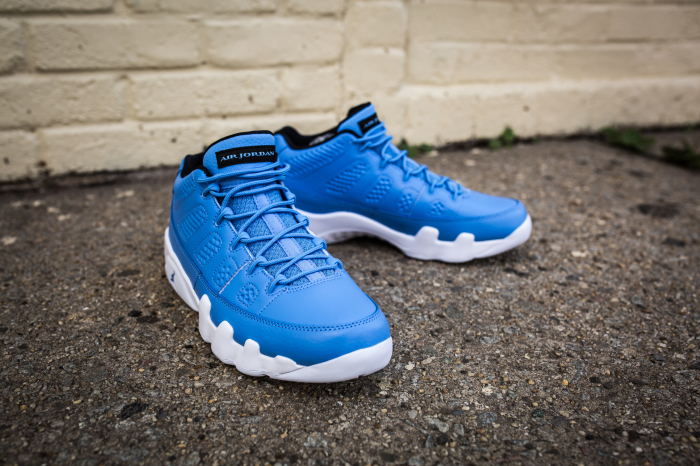 The Nike Air Jordan 9 Low ‘Pantone’ is available at selected retailers.